Wayne Helm left his first college, the University of Arizona, and he soon landed at Pepperdine. He explained the move later to The Los Angeles Times. "I just felt like I didn't get a chance to prove myself," Helm told The Times. Helm pitched limited innings at Arizona. He also ran into illness. At Pepperdine, he excelled, making All-Conference in 1989 and he still has the school's sixth-best strikeouts-per-nine-inning mark. He did well enough there for the Angels to take notice and select him in the draft. His pro career, though, ended up being limited. He played just two seasons. He never made AA. 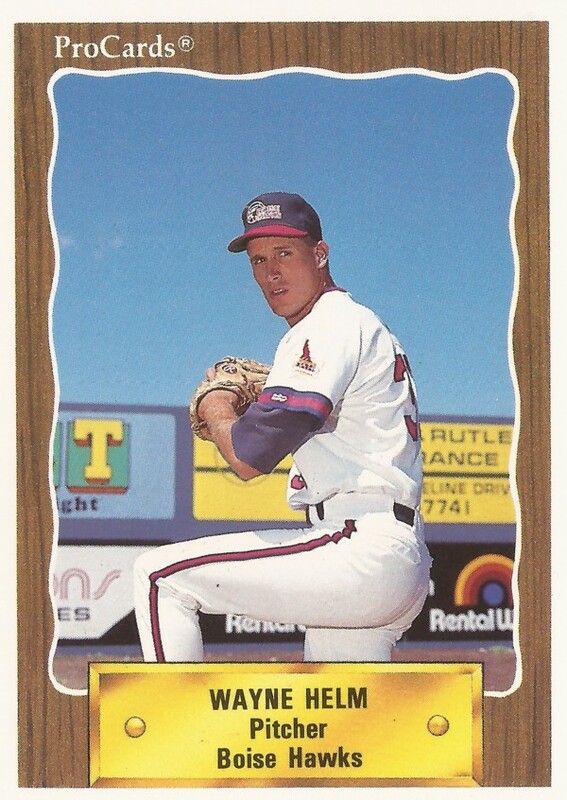 Helm's pro career began in 1989, taken by the Angels in the 15th round of the draft out of Pepperdine. The Angels selected Helm after he went 6-5, with a 4.17 ERA for Pepperdine in his junior year. He also struck out 102, according to The Times. With the Angels, Helm started at short-season Bend. He started strong by throwing an early-July no-hitter. After that, though, he ended with a 3-7 record over 15 starts, with a 6.14 ERA. By early August, Helm had 88 strikeouts, leading the league. His record also stood then at 3-3. His third loss came after he picked up a single strikeout, according to The Spokane Chronicle. "He pitched behind them," Bend manager Don Long told The Chronicle. "And when you pitch behind, you can't use the breaking ball, which had been real effective for him. He didn't have good command." 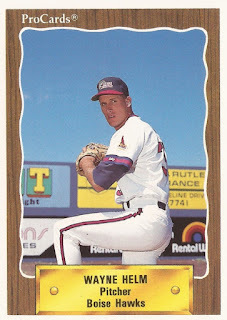 Helm played 1990 between short-season Boise and single-A Quad City. He went two innings of relief in a July game, giving up one run. He pitched into the sixth inning of a late-August game. He picked up the win, despite a liner to the leg knocking him out in the sixth. Helm ended with a 4-2 record overall and a 2.54 ERA, marking the end of his career.